Dana Stamps is the omnipresent educator, moving with precision and dedication as the youth education summit that she’s been organizing for just a month has come to fruition. It’s amazing to witness. One moment she’s setting up donuts and directing volunteers for the continental breakfast. And the next, she’s three classrooms and a hallway over prepping workshops with teachers and board members. 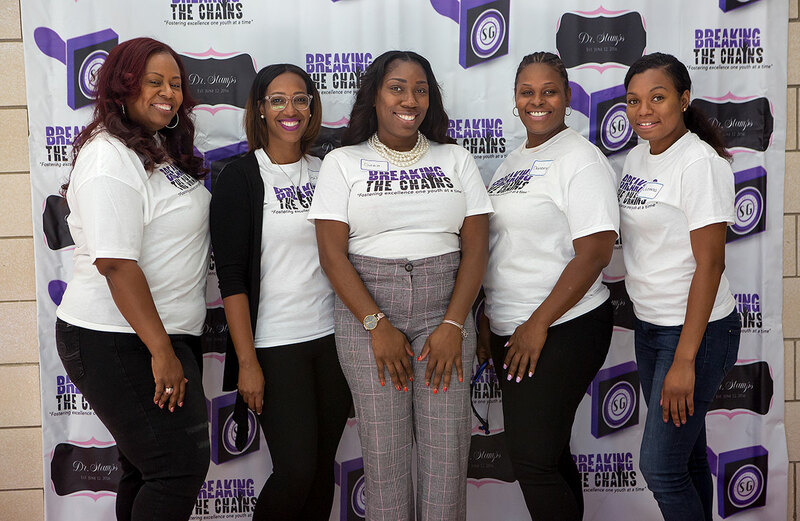 Her organization, Breaking the Chains, held a LEARN Summit for youth in the sixth through 12th grades on Sept.22 at Excel Academy of Englewood, 7141 S. Morgan Ave. The fifth annual On the Table, organized by The Chicago Community Trust, brought together Chicago-area residents on May 8 in mealtime conversations to engage in meaningful dialogue, develop new relationships and inspire action to make a difference in communities. Instructor Mekayla Brown (center) helps Brooke Clemons, 14, with creating her first resume during Breaking the Chain’s LEARN Summit. Dr. Dana Stamps (third from left), founder and CEO of Breaking the Chains, poses with her board members. From left to right: Tammy Rutledge, Ashley Phillips, Dana Stamps, Danenya Cochran, and Justina Baker. In July the Chicago Community Trust named Breaking the Chains as one of its 37 Acting Up award recipients. Using the $5,000 in prize funding, Dana created the LEARN Summit, geared toward filling all of the education gaps she noticed within her community. The summit covered everything from self-identity to financial literacy and college resumes. For the 30 students attending, the summit was an opportunity to gain the knowledge not typically covered by parents or high schools. A few seats over sat her brother, Damion Clemons, a rising high school senior looking to attend dance school in the future. Like his sister, Damion had never attended an event like Breaking the Chains. Students like Brooke and Damion drive Breaking the Chains’ overall direction. For Dana and her fellow board members, it all begins with simply listening to what their students say and need. 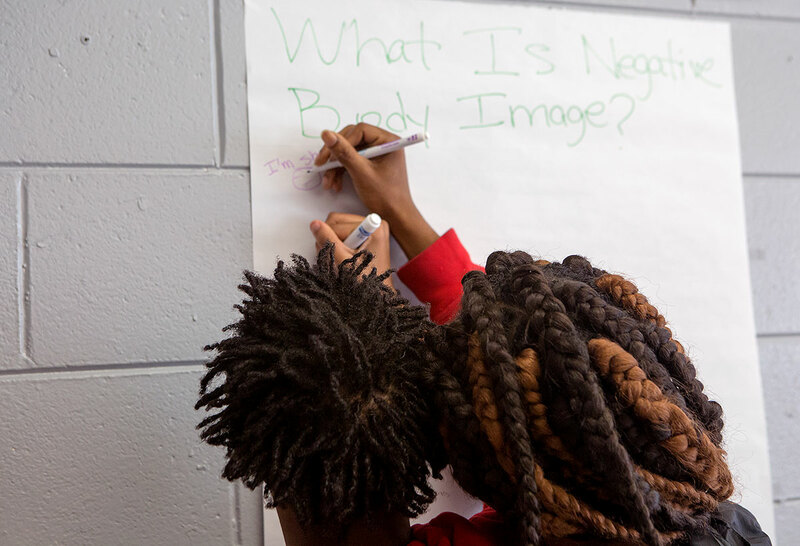 Siblings Damion (left) and Brooke Clemons (right) answer the question “What is negative body image?” during the LEARN Summit. 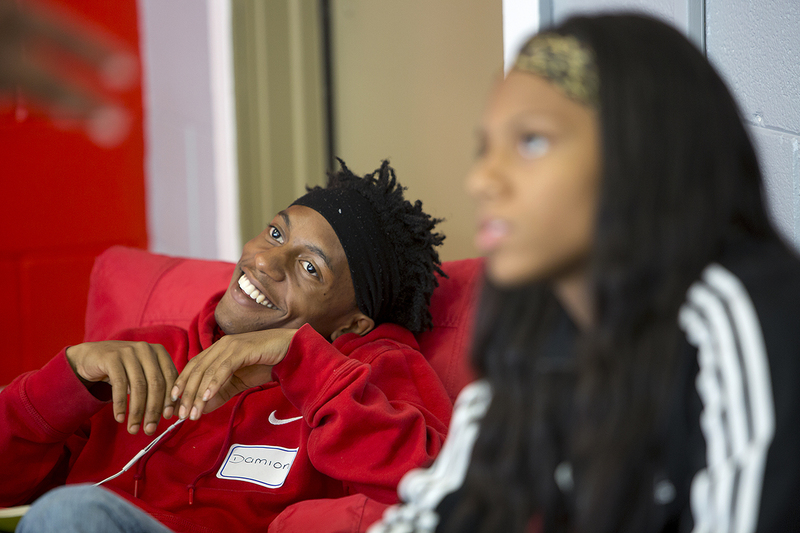 Damion Clemons, 17, smiles during a self-esteem workshop at the LEARN Summit. In the future Dana sees the summit expanding and becoming an annual event. As always, it’ll be driven by the students in the Englewood community and inspired by her mission to give the next generation the necessary educational tools to succeed. Breaking the Chains, founded in 2015, is a non-profit organization dedicated to empowering and educating youth in Chicago’s underserved communities. 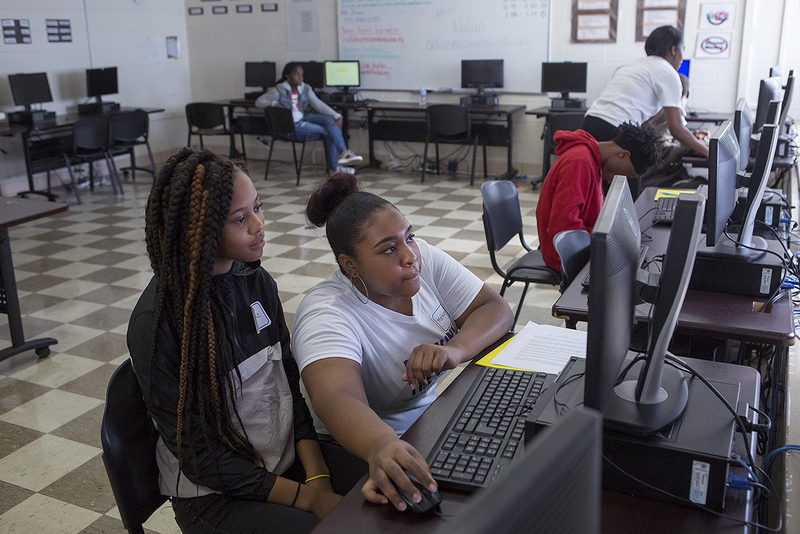 With programs focusing on career preparedness, college prep and financial literacy, this organization works to combat the disadvantages faced by youth in these areas.